It’s a little bit intimidating walking into The Chief’s home. His expansive house sits on a corner of a Skokie street topped with turrets and gabled windows, like a small castle. His towering presence, all six feet four inches of him, fills the doorway and he has to stoop down to greet his visitors. But as a grin spread across his face and the graciousness that he’s known for oozed from his pores, Eddy “The Chief” Clearwater let it be known that all is welcoming inside his house. Sinking into his easy chair, surrounded by finely crafted antiques, a rack of dozens of his signature hats and various furry stuffed animals favored by his wife Renee, Eddy seemed relaxed and satisfied with the life that he’s built for himself. And what a life it is. Famous for his sizzling,left-hand guitar riffs as well as his rollicking stage presence, Clearwater is an acknowledged master of the West Side blues guitar. He can croon with the emotional power of a Southern preacher and he can write songs that capture the humor and the heartache that define the blues. He has produced dozens of albums during a career that spans over 50 years; many of them including The Chief (Rooster Blues 1980), Cool Blues Walk (Bullseye Blues 1998), and Reservation Blues (Bullseye Blues, 2000), genre-defining classics. He’s collected Blues Foundation and W.C. Handy Awards, a Grammy nomination and a Mississippi Blues Trail Marker. He’s performed all over the world and has yet to slow down. Indeed, Eddy managed to stay on an upright path never even sneaking into a blues club to hear the music that transfixed him. “I had never been inside a blues club when I was growing up,” he recalled. “They advertised different bands on the radio and I visualized what Louis Jordan must have looked like on stage. I wanted to go but I knew I was too young.” Fittingly, Eddy’s very first blues club experience was at a West Side blues joint in 1953, when he was 18. “I was driving a cab and I heard on the radio that Muddy Water was playing at the 708 Club. I was driving around in that area and I drove to the front of the club,” he said. Technically, Eddy had been baptized in the blues way before he moved to Chicago at 15. In Mississippi, his uncle ran a juke joint and Eddy loved listening to the records, especially Louis Jordan. “I thought he was brilliant, the way he played sax and sang,” he recalled. “He was a big influence on me, that’s what I wanted to do.” His uncle Houston also owned an acoustic guitar that Eddy would sneak and play. When he finally caught Eddy with his guitar, he encouraged him to keep playing. His family moved to Birmingham, Alabama when Eddy was 13 and Eddy rode the same bus where Rosa Parks would refuse to relinquish her seat, a few years later. Eddy played guitar in church, backing the Five Blind Boys of Alabama. But his Uncle Houston had moved to Chicago and wrote Eddy about all the blues musicians, including Muddy Waters, Howlin Wolf, Elmore James and Jimmy Reed, who were making a living in the big city. “That’s all I needed to hear, I told him to send me a ticket,” he said. Eddy was only 15-years-old but his grandparents gave him their blessing. It didn’t take Eddy long to realize his dream. He stopped driving cabs after seeing Muddy Waters perform and focused on his career, washing dishes in fast food joints on the side to earn money. He auditioned as Guitar Eddy and the Cutaways with a trio he formed. Later he recorded the Chuck Berry influenced “Hillbilly Blues” for his uncle Houston’s small Atomic H label and soon gained a reputation for his slashing guitar licks. Eddy started playing at South side clubs regularly. By the late ‘50s, he had joined the musicians union and attracted the attention of an agent who changed Eddy’s name to Clear Waters, in response to Muddy Waters. His energetic showmanship and skill at blending rock, blues, gospel and funk made him a crowd pleaser everywhere he played. By the ‘60s when Chicago blues gigs started drying up, Eddy found steady work in the Western suburbs, serving up rock and country with contagious flair. 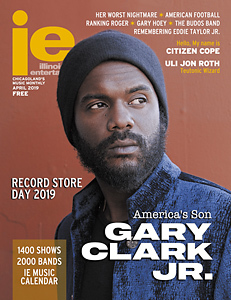 His recent live CD, Soul Funky (Cleartone) recorded at Evanston’s Space during his 80th birthday concert last year, captures the essence of his genre-blurring sound. From the scorching intro, “They Call Me The Chief,” which has Eddy showcasing his ferocious licks, to the roots rock of “Too Old To Get Married” and the showstopping blues burner, “Came Up The Hard Way,” he delivers on all levels. 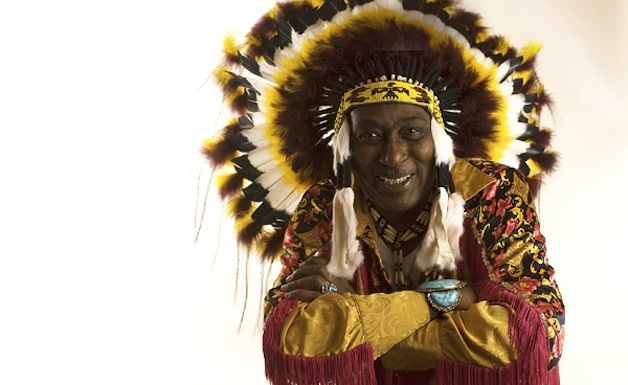 Eddy Clearwater plays Space, 1245 Chicago Ave., Evanston in honor of his 81st birthday, on Saturday, January 10, at 7pm..